Religious Education is taught in accordance with the Cambridge Agreed Syllabus. As an Aided School with a Christian foundation, in each year there is a focus on Christianity plus the opportunity for pupils to learn and evaluate their own views on other world religions. RE enables pupils to appreciate their own and others' beliefs and cultures, helping them to develop a clear understanding of the significance of religion in their own area as well as in the world today. It is concerned with the promotion of each pupil's-self-worth, enabling them to reflect on their uniqueness as human beings, to share their feelings and emotions with others and to appreciate the importance of forming and maintaining positive relationships. 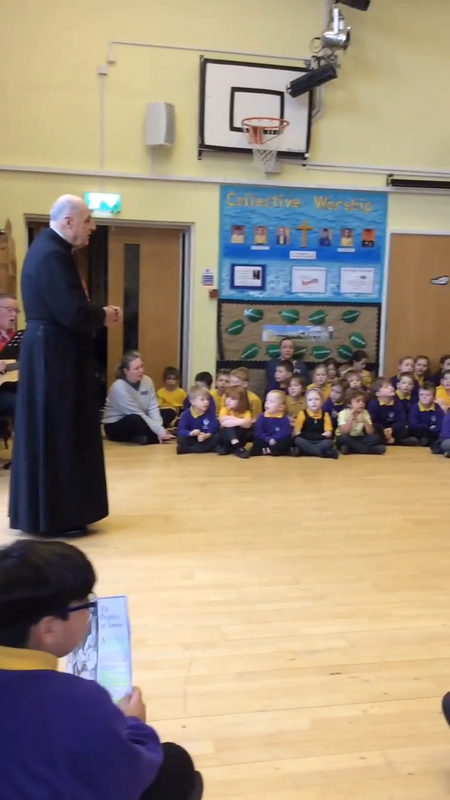 As a Church of England School, Collective Worship is carried out on a daily basis. It is Christian in content and encourages worship of God. Collective worship allows time for guidance, positive thought and development on spiritual, moral, social and emotional issues. Worship also allows an opportunity for quiet reflection and exploration of self. Daily worship may be led by staff, children or visitors to the school. These worship times have a theme and may include stories, songs or hymns, prayers plus a time of reflection. The stained glass window in the school hall was created by pupils at the school and is a spectacular focal point for worship. We follow the Christian calendar and celebrate special days and festivals throughout the year. Parents and the community are warmly invited to share our daily worship and weekly celebrations as well as these special services. Parents have the right to withdraw their child from Collective Worship if their own religious beliefs make this necessary. If you wish to withdraw your child please contact the Headteacher. We actively encourage all children to take part in worship and our Worship Group are actively involved daily in the preparation and delivery of worship. All classes visit the local church at least once a term and we encourage visits at least once in a school year to places of worship in the wider community. 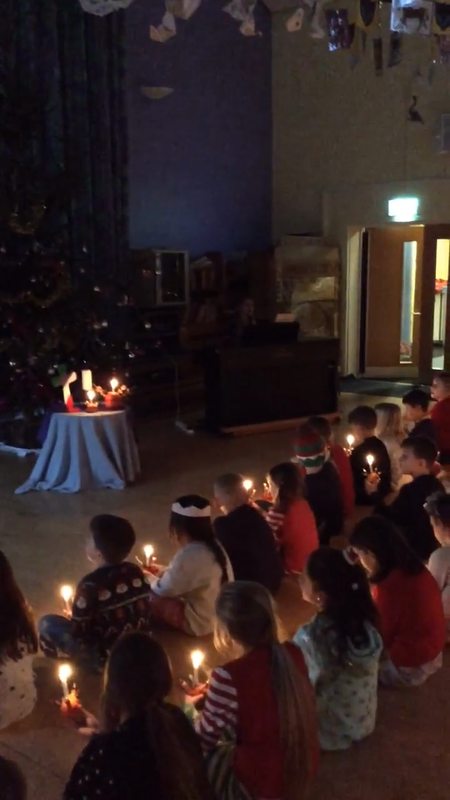 Each class is responsible for leading a worship every half term and we welcome parents to share this with us. In school, there is much to thank God for, much to praise, much to hope and aspire to. We celebrate wisdom, hope, community and dignity. We are part of the Diocecse of Ely and you can link to the Diocese of Ely website by clicking here. Christian Values for Schools Find out more about Christian Values for Schools by following this link.